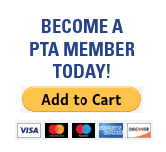 The PTA meeting previously scheduled for this evening has been rescheduled for Wednesday, February 18 at 7:00 at Oak View. It will be a cooking demonstration. Parents and students are invited to prepare and sample nutritious yet delicious foods from around the world. See you February 18th instead of tonight.